Arpita Nepal, Co-Founder and Director of the Research and Development at Samriddhi, The Prosperity Foundation discusses the state of entrepreneurship in Nepal. There is still a common misconception in Nepal that one can only make a profit by paying bribes. Entrepreneurs face many challenges operating in Nepal including inefficient registration processes, cronyism, overwhelming regulations for small businesses, political instability, and lack of access to finance. 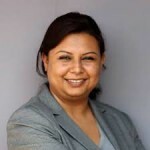 Despite these challenges, Arpita Nepal is hopeful that entrepreneurs will continue to drive positive changes in Nepal.